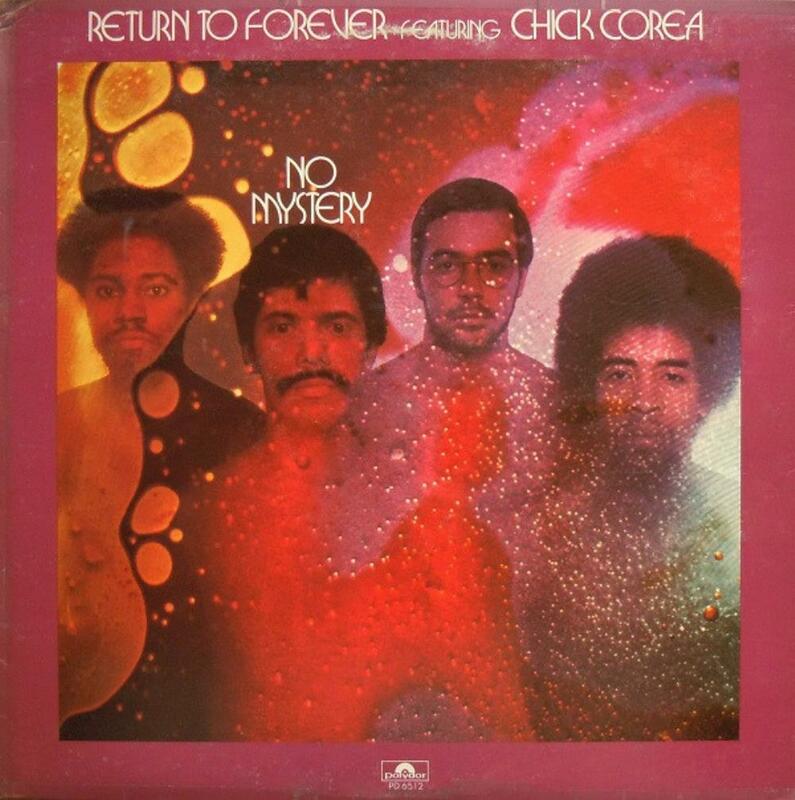 When guitarist extraordinaire Al DiMeola joined Return to Forever to record the superb LP "Where Have I Known You Before" the band reached their enormous potential at last, becoming a closely knit foursome that would be hard for anyone to match, much less beat. After touring the rock circuits (just as The Mahavishnu Orchestra had done), stirring up a tidal wave of "have you heard these guys?" word-of-mouth buzz and fan support they reentered the studio to create another fusion work of art. Bassist Stanley Clarke's "Dayride" is a perfect beginning with its fun, uptempo air and Chick Corea's sprightly synthesizer runs. Clarke and drummer Lenny White lay down some serious funk and Stanley tosses in a little George Benson-like riff singing right before the bridge. The ending is great. "Jungle Waterfall" is a fine example of one of the most endearing qualities of this group. Unlike most jazz ensembles these guys weren't overly obsessed with perfection. Instead they were more interested in finding the right groove for each song even if things got a wee bit loose in the process. This tune has a soulful, disco beat and some excellent guitar vamping from Al. It's a playful romp. DiMeola contributes "Flight of the Newborn" and it is an absolute jaw-dropper. It starts off with a funky rhythm and an intricate melody line. Al uses the wah-wah pedal much like Frank Zappa did in that he manipulates the tone from treble to muted in increments instead of just working it back and forward and it allows him to create some unique sounds as he flies over the frets. Clarke's solo is get-outa-here amazing and White is a blur on drums behind him. It's definitely a "WOW!" inducer for the listener and the last two minutes are so good it's beyond description. Next up is Lenny's "Sofistifunk," a short ditty based on a drum pattern and the name says it all. DiMeola and Corea add some give-and-take licks that are entertaining but the song is just too busy in general and represents the low point of the album for me. They certainly weren't above poking a little fun at mid-seventies musical trends and their tongue-in-cheek "Excerpt From The First Movement of Heavy Metal" is nothing more than a satirical parody (of ELP perhaps?). It starts with a big baby grand piano intro, abruptly introduces a heavy guitar riff that leads up to cacophony and then returns to the grandiose piano motif. The best news is that they don't beat it to death. Now it's time for the album's namesake, the stupendous "No Mystery." All the instrumentation here is acoustic, with White only adding some tasteful cymbals and percussion here and there. Corea's blissful recurring theme is exhilarating and the way they work as a unit is almost spiritual in nature. When Stanley unleashes his bow and solos on the upright bass he takes things to another level altogether. "Interplay" follows and it is a somewhat traditional modern jazz piece that demonstrates what a gifted pianist Chick is as he and Clarke provide all the music. A closed roll on the snare followed by stately notes befitting the entrance of a toreador into a bullring brings us to "Celebration Suite" (in two parts). White creates a one-man drum line as it sounds like he double-tracked his snare over a Spanish marching beat, then they all burst into a flamenco feel with Corea taking the lead on synthesizer. Lenny really shows his stuff as he guides the band through some ferocious accents and changes before they drop back down to the piano. Part II is more of an involved group piece that allows Al to turn in one of his blistering guitar solos that will shear your head off. After a short lull in the action they build things back up to the original "bullfighter" melody before taking it over the top with an ending befitting even the most bombastic of symphonic progressive rock bands. Maybe they were lampooning themselves earlier! Needless to say, I highly recommend this album. There's a tangible atmosphere of joy coursing through it that is undeniable and impossible to fake. It's also a perfect example of the kind of inspired music that can come from a successful collaboration of virtuosos who can keep their egos restrained long enough to create magnificent art through cooperative teamwork. 4.4 stars.